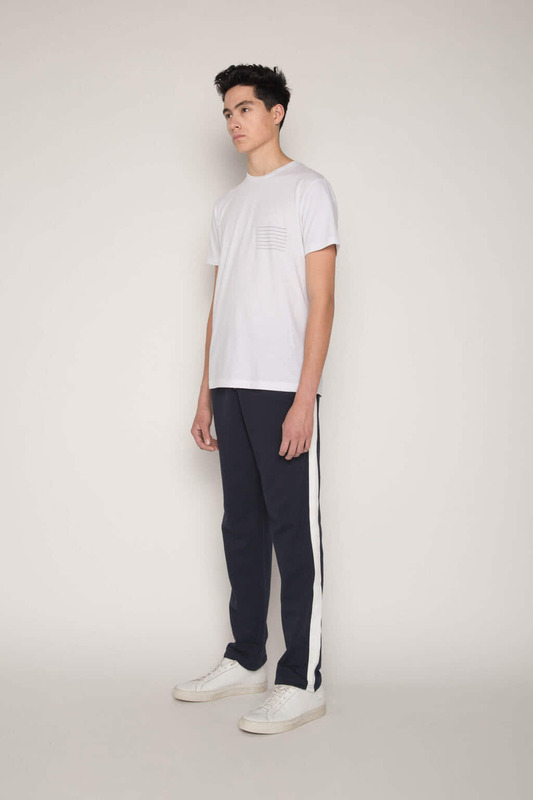 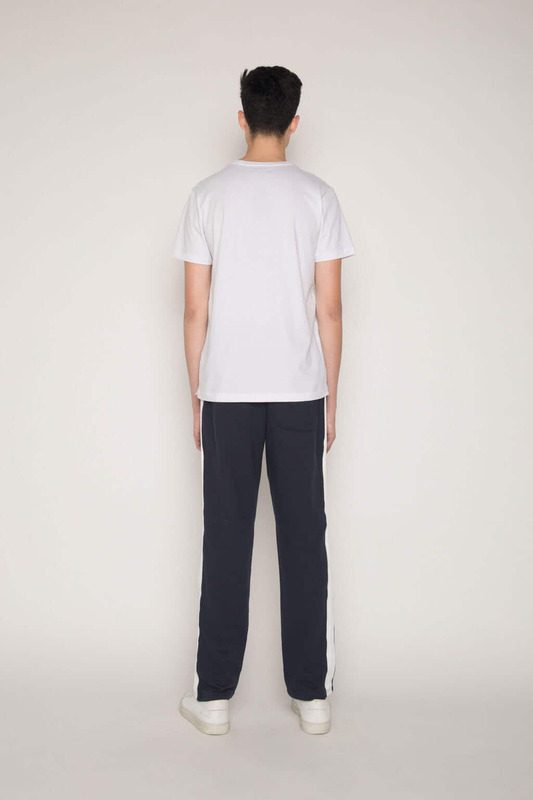 Crafted from 100% cotton, these sweatpants feature a slim-fitting silhouette with white panelling down the sides for an athletic-inspired look. 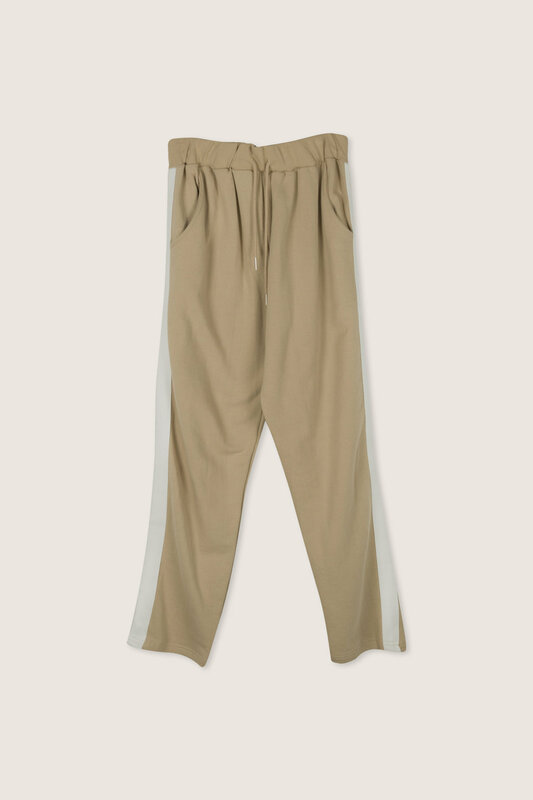 The elastic waistband and drawstring tie maximize comfort. 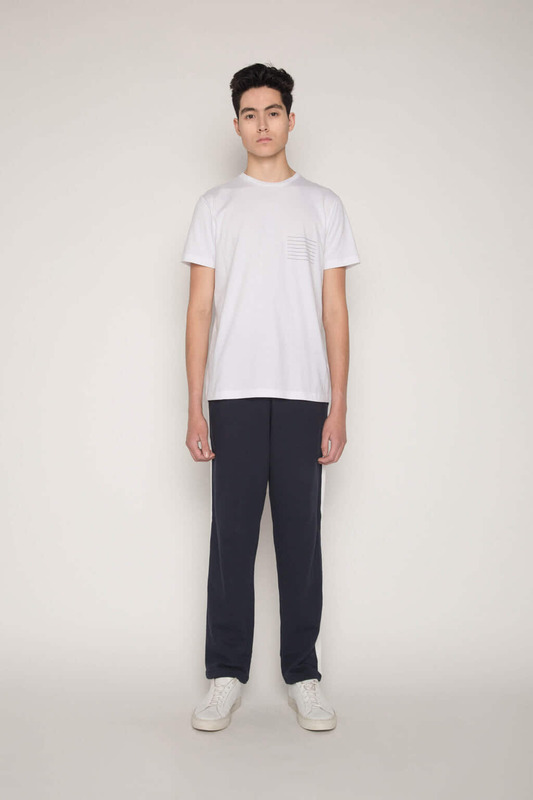 Pair with a t-shirt and sneakers for a casually refined everyday look.